[Frontline] Episode 3 - The Defenders Strike Back! 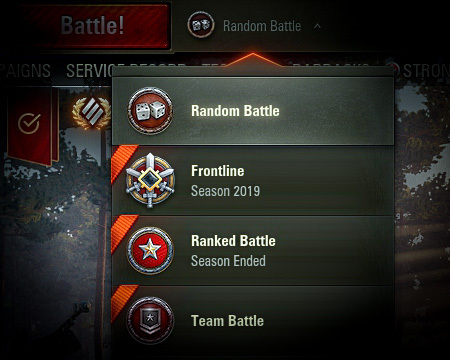 UPDATE [18/4/19]: In light of its delayed release on 15 April, Frontline Episode 3 has been extended till 23 April 2019, 04:00 UTC +8. Seize this opportunity and fight to hit the next Frontline Tier! They've been on the ropes for too long – it's time for the Defenders to strike back! After lots of careful analysis, we've decided to introduce a few small tweaks to Frontline Episode 3 exclusively for the Asia server that will hopefully create new opportunities for the defending team, and promote a more balanced and dynamic gameplay experience. Read on to find out more about what you can expect! Select the corresponding tab in the battle type drop-down list to enter the Frontline queue. Your pillboxes will have their turrets' side armour increased from 160 to 180mm, giving them some much-needed protection from light tanks, who will now have to risk more behind enemy lines. In addition, high-angle shots by TDs from a distance will no longer be able to penetrate them. Pesky attackers moving in on your bases? Interrupt that capture and thwart their plans! The Airstrike Combat Reserve will now do more reliable splash damage within its radius of effect when deployed, but in exchange, its penetration will decrease. And as always, your favourite Community Contributors will be streaming live from the battlefield with their helpful tips and exciting battles, so take a look at the schedule below and tune in! See you on the Frontline for Episode 3, Commanders!